We all love our pets dearly and want them to live long, thriving lives. While most of us try to give our dogs’ and cats healthy food and exercise, there are still way too many overweight cats and dogs. Obesity is the number one cause of long term health ailments in our pets. Overweight cats and dogs have many long term health issues from arthritis to liver disease because of their excess weight. 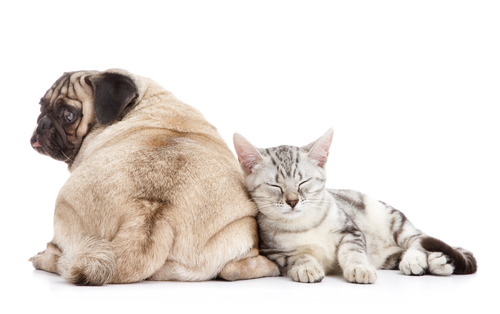 It is never too late to help your cat or dog lose weight even if they are approaching their senior years. You can tell if your dog or cat is overweight by simply being able to feel their ribs. If you can’t feel his or her ribs at all, your pet is probably overweight. Next, look at your dog or cat from the side. Is his or her abdomen tucked up slightly? Overweight pets will have no waist and their abdomens sometimes drag, and excess flab around the abdomen. Illnesses and conditions that can occur when your dog or cat is overweight are the following: arthritis aggravated by excessive weight on the joints, diabetes, bladder and urinary tract disease, liver disease, low thyroid, torn knee ligaments, chronic kidney disease, asthma, spine problems, high blood pressure, gall bladder disease and heart failure. Your vet can best inform you of the ideal weight for your dog or cat and get them back on track to a healthy weight. Your veterinarian can also make you aware of any potential health concerns or things to watch for as you start the new program. Treats contribute substantially to pet obesity. We tend to think of them as reward without regard to fat content and calories. Look for healthful alternatives including substituting fruits and vegetables or cooked, lean meats. It might not seem like a lot of calories to us, but they add up, especially in smaller cats and dogs. Not all dogs are built for biking, and whether you are running, jogging, biking or just walking, keep an eye on your dog to make certain he or she is able to keep up. Especially older dogs. Our dogs will run their hearts out for us, but they shouldn’t have to. 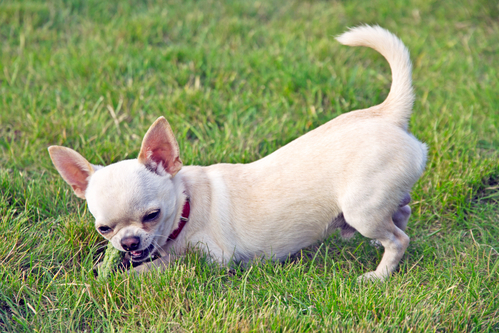 Playing in the house or backyard will provide your dogs with lots of exercise. Cats love to stalk and chase balls, toy mice and the beam of a laser pointer. (Some tips on how to get your overweight cat to exercise) Fetching games for dogs are excellent forms of exercise as well. 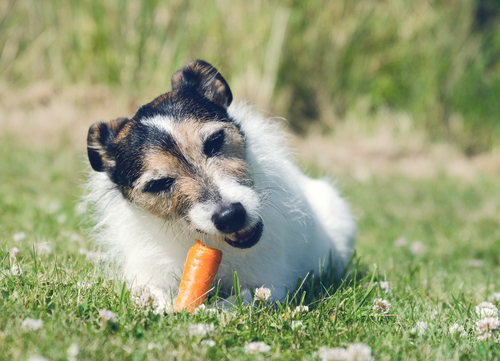 Change your dog’ or cat’s current diet to a weight management food. 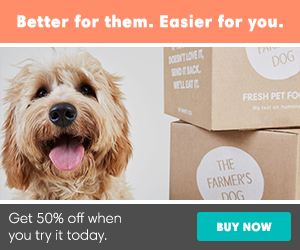 There are so many different variations on the market that it is a great way to get your dog or cat to lose weight. Look for high-quality meat ingredients with the main ingredient being a lean, healthy protein source. You need to wait a few months to assess whether the new diet and exercise has helped your pets’ lose weight. Weight loss should be a gradual process and you don’t want your dog or cat to feel too deprived. 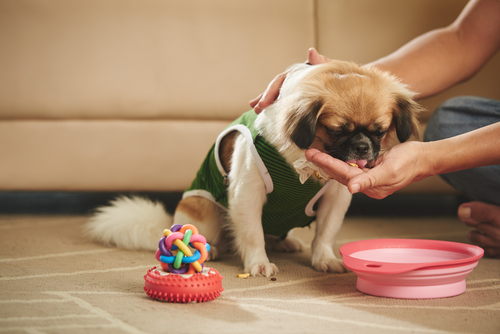 If you feed a high fiber, low calorie grade dog or cat food, you can feed your pup the same amount and he or she will hardly notice the difference. In fact, they are designed to fill them up. Many dogs and cats know how to beg and give you a sad look to show that they are hungry or want more. But, just remember that your dog or cat is not hungry, but trying his or her best to convince you that he is. Remember to stick to the diet plan and your dog or cat won’t starve.